1 Requires a compatible TV with an HDMI port, a Wi-FI network and a compatible mobile device. Find out more at g.co/cast/req. Chromecast works with Cast-enabled apps. Take a look at our growing list of compatible apps and partners at g.co/cast/apps. Subscriptions are required to view some content. Plug Chromecast into the HDMI port on your TV and you can start streaming your favourite entertainment straight from your smartphone. Watch shows, listen to music, play with apps, and more, all with just a few taps. And while streaming, you can still use your smartphone as you normally do. 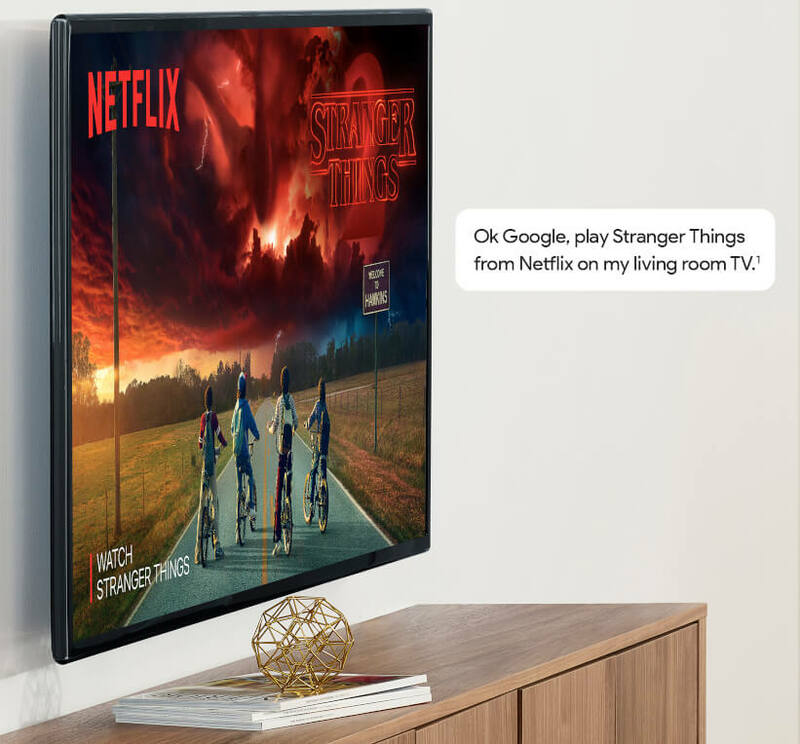 2 Google Home, Chromecast, Wi-Fi network and compatible content required to cast to a TV using Google Home. 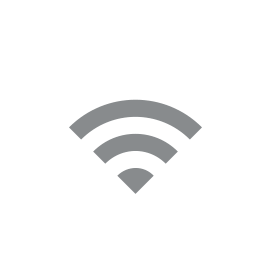 Chromecast works with iPhone®, iPad®, Android devices, Mac®, Windows® devices, and Chromebook. Connect Chromecast to your home Wi-Fi network. Simply tap the cast button in a Cast-enabled app and choose a video to play on your TV. 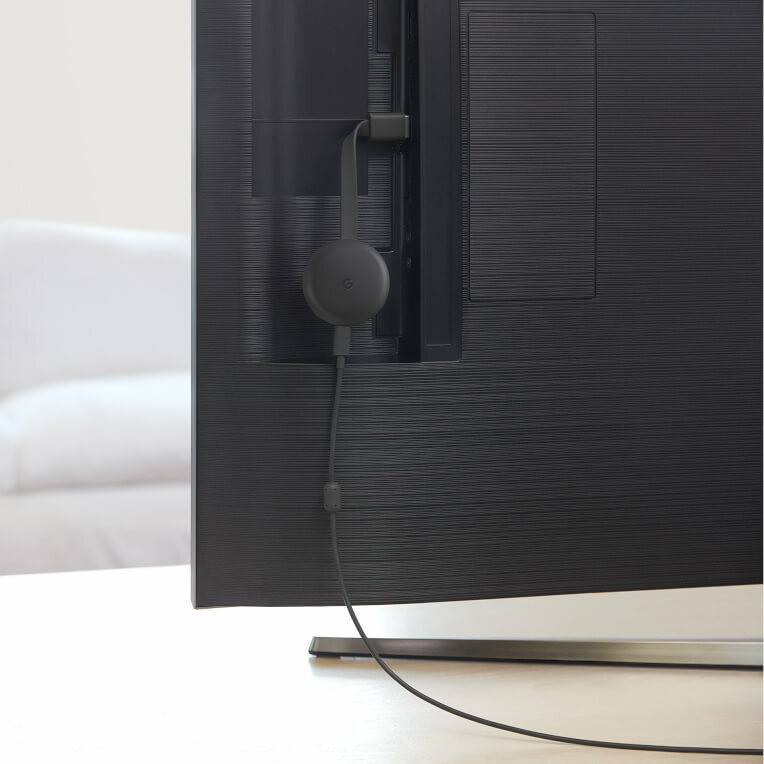 Chromecast, Chromecast Ultra, Chromecast Audio require: a TV with an HDMI port, a Wi-Fi network, and a compatible (Android, iOS, Windows or Mac OS) computer or mobile device. Minimum OS requirements are at g.co/cast/req. Availability and performance of features and services (including 4k and screen mirroring) are application, device and network-dependent and may not be available in all areas. More information is available on the Chromecast Help Centre. 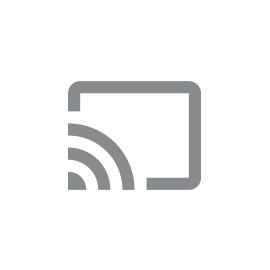 Chromecast Ultra: requires a 4K-capable HDTV and highspeed broadband Internet connection to view 4K content; see g.co/cast/req for minimum broadband requirements. 4K programming is subject to availability from content providers. For Chromecast Audio: requires speaker with AUX, RCA or optical digital input.